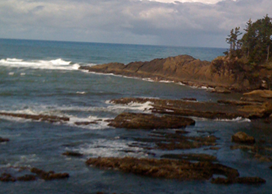 Your search for high-quality real estate ends with Oregon Coast Properties. Our real estate brokers are on the job for you, matching you to premium properties up and down the Oregon Coast. See current listings here. Beautiful homes, peaceful settings, great residences for the entire family—you'll find this and more with the help of Oregon Coast Properties. We feature amazing coastal properties with unbeatable ocean, lake, and river views as well as farms and ranches. Start browsing our listings today. The time to buy is now, as interest rates are lower than ever. As professional agents, we know how to find the best properties on the coast. We list properties for sale, then help potential buyers locate the right lender. Benefit from our expert buyer/seller representation by calling or emailing us today.